Gulf Harbour are grateful for the generous support the club receives from its fantastic sponsors. If you would like to be part of this group then we are sure we have an advertising opportunity that will suit your business. With over 45,000 rounds played at the course every year, this is a fantastic opportunity to promote your business to both our members and visitors, from New Zealand and overseas. 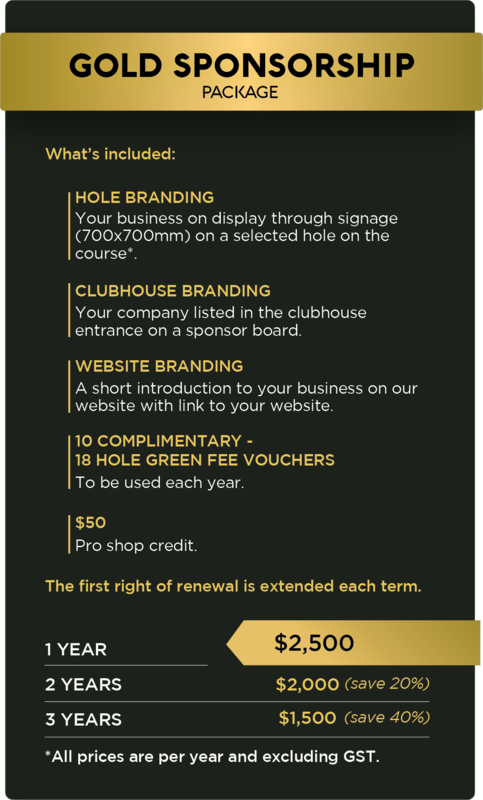 Listed below is a selection of the advertising and sponsorship opportunities available at Gulf Harbour.